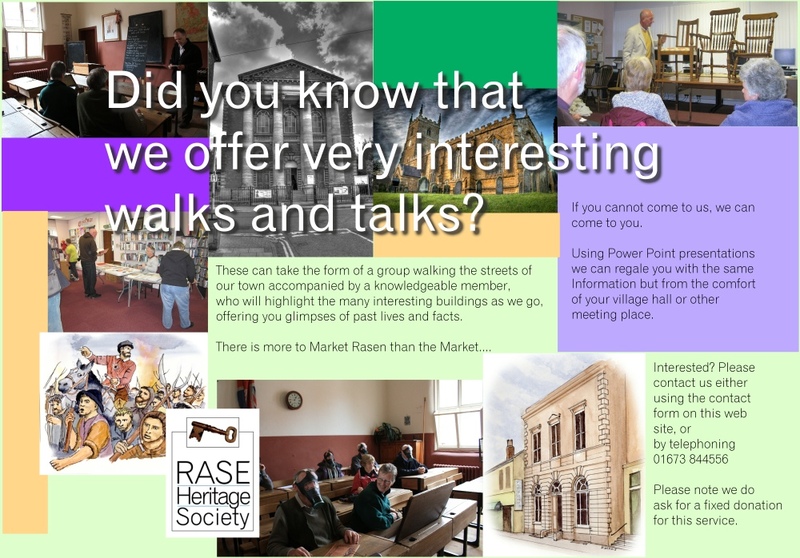 Rase Heritage Society was established in 2005 to promote and encourage interest in the heritage of the Rase district – the Parishes of Market, Middle and West Rasen. 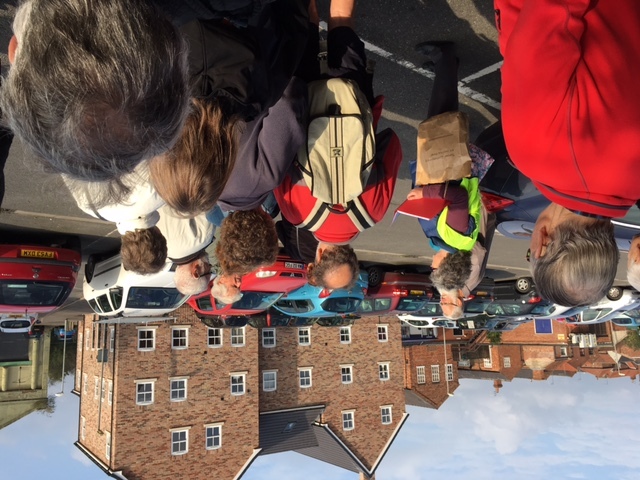 A group enjoying one of the many walks organised by RHS. It endeavours to preserve all aspects of the heritage of the district and is seeking a suitable building to be a permanent repository of documents and artefacts relevant to the history of the Rase district. It also promotes itself and the Rasen area with regular themed events and displays to catch the public’s attention. The Society meets monthly on the first Thursday of the month (except January) at various venues appropriate to the topic being presented. Please see the programme listing for the venue and time. 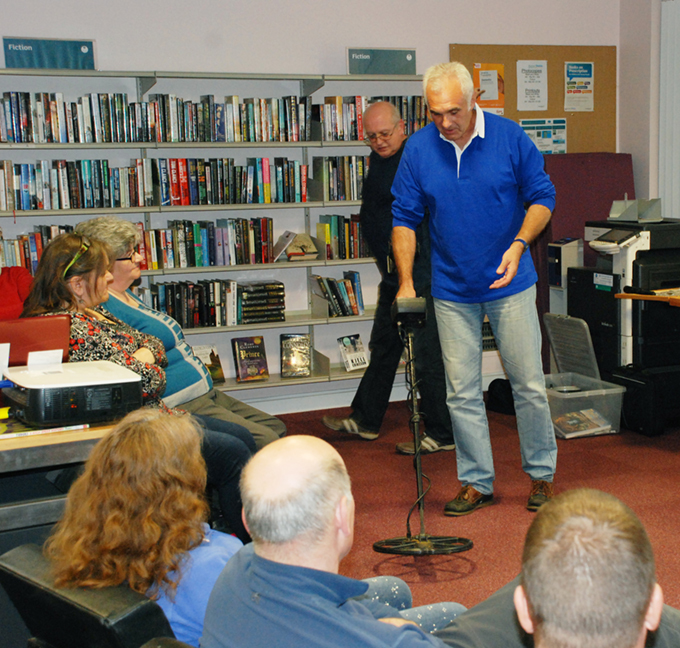 We run a full annual programme of meetings which sometimes means the venue is on location. Talks are arranged on a variety of heritage topics by visiting speakers and members. The Society has created many displays of artefacts around Market Rasen. Members carry out research on many aspects of local heritage. This is transformed into detailed displays. Recent projects include both World Wars, The National Egg Collection, The Tudors, Market Rasen brewery industry and the Co-op Movement. ‘One of our most interesting evenings’ as RHS members and guests look at metal detecting.